Like every other defence aspirant I used to read all the success stories of recommended candidates. It might seem exaggerated but SSBCrack was the only reason for me being on Instagram. As, along with dedication and practice, motivation is the strength which helps you get along all the ups & downs of your journey and SSBCrack kept me motivated. This is going to be a very long post as I’ve been waiting since the very beginning of my NDA preparations for this one post. Before sharing my experience let me give you my brief introduction. 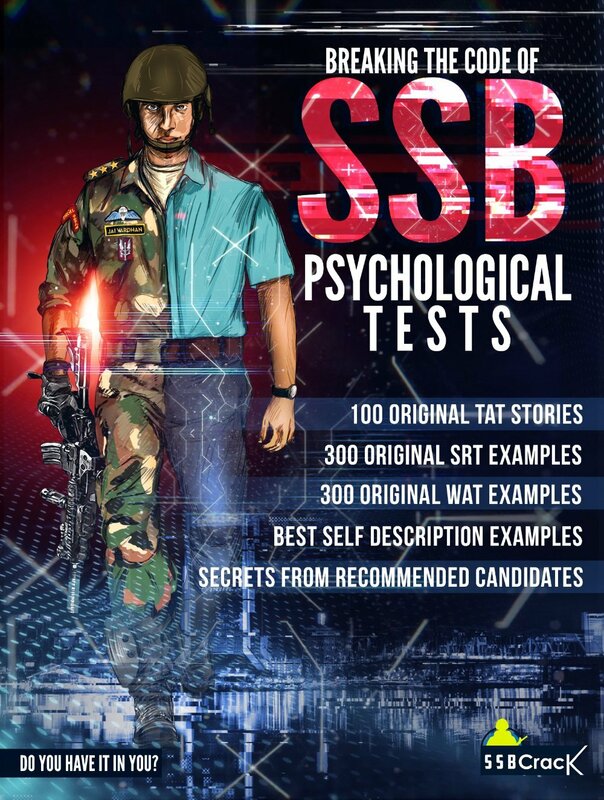 I am Shubham Chaudhari from Pune recommended for NDA-Air force (Flying branch) in my 1st SSB attempt. 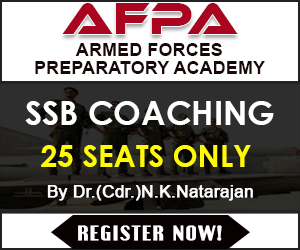 It was obvious being an Army brat to have a deep interest in serving the Indian Armed Forces. My father Sub Ramakant Chaudhari has been the biggest source of motivation to me. He served in the 1st Para Special Forces and was a part of multiple major operations. He spent countless hours working together with the gallant officers such as Maj. Mohit Sharma,Maj. Sandeep Unnikrishnan, Maj. Udai Singh, Capt. R Subramanian to name a few. My father himself was wounded by a bullet in Operation Dumblor (which was a part of Op. Rakshak) in Tral Sector of Pulwama district. He also served as an NSG commando. Hence, I was raised in an environment which fostered my interest towards the armed forces. Starting with my SSB experience, I received 1 AFSB, Dehradun as my SSB centre and I left from Pune on 3rd Aug 2018 accompanied by my father (who retired from service on 31st July 2018). I reached Ambala Cantt on 5th August early morning. From there we left for Nahan, Himachal Pradesh which is home to 1st Para SF, a place which holds major part of my childhood memories. We met all of my father’s colleagues. We spent a day there & reached Dehradun on 5th August at 2100 hours. It was raining heavily and somehow we managed to get a room. The next morning, I got up early and reached to see a total of 266 candidates all dressed up neatly at Dehradun MCO. Buses from the centre arrived to pick us up.We were served complimentary breakfast after headcount, brief document check & general instructions were announced. We were then allotted Chest numbers and soon the testing started. After briefing the candidates about the OIR test the officer announced the commencement of test. 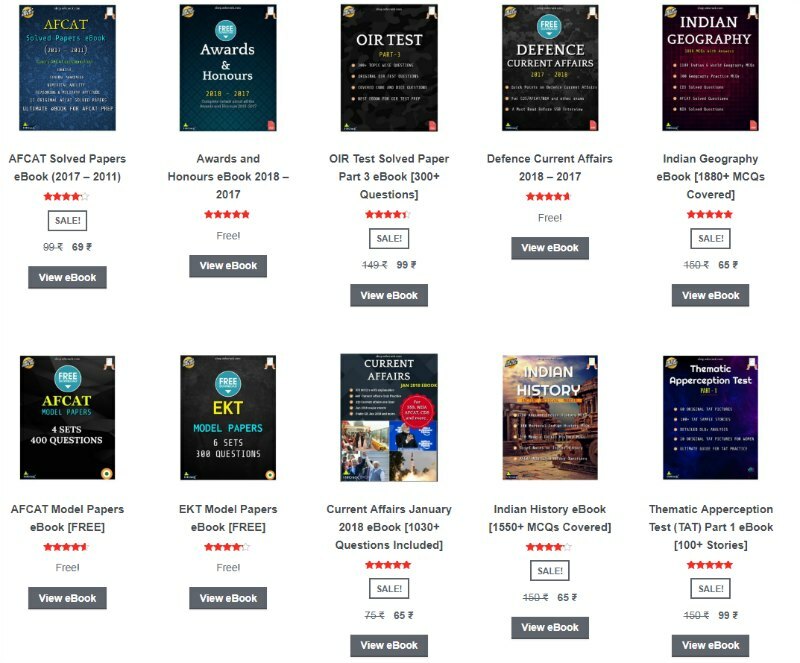 The OIR Test comprises of 2 booklets having 50 questions each and the allotted time for each booklet is 30 mins (though the time given was less than 30 mins). I managed to completely solve both the booklets. We then moved to ‘ ALAKNANDA Hall ‘ for Picture Perception & Description Test (PPDT). A very hazy picture was shown to us & we were asked to frame a story within 4 minutes with proper description of the characters. Followed by a Group Discussion (GD) in groups of 15 to narrate and discuss our stories to come to a common conclusion (Coming to a conclusion was quite difficult as each member of the group had a completely different perception of the picture). After lunch, the results were announced and 109 candidates out of 266 were screened in. Then we all went through a very long document verification process, we all also handed over our phones. We were then asked to move our luggage to the allotted rooms. Where we rested for an hour and were asked to assemble for Psychological Testing. We were done with the Psychological Tests by 2300 hours ( I managed to complete 48 WATs,58 SRTs, all 12 TATs, and the SDT). We were then made to fill 2 PIQ forms. We had our dinner at 2330 hours and with this Day 1 came to a satisfactory end. Being in the 1st group of candidates to be interviewed, we were asked to assemble in the Anteroom at sharp 0700 hours. In order to ensure I’m not late and everything is ready including my documents, I decided to skip my Breakfast for that day. Around 1000 hours my chest number flashed on the screen and I headed with my documents towards the Interview Room. My Interview with the Interviewing Officer lasted for an hour. He asked me questions from all walks of life. The questions were majorly based on what I’ve mentioned in Personal Information Questionnaire (PIQ ) form.Apart from that ample amount of questions from current affairs, General Awareness and Defence were asked. This was the gist of my Day 2 and I’d say that I left the Interview room with a sense of contentment. We then spent the rest of the day binge-watching movies in the TV Room and playing Pool and Table Tennis. Day 3 caused a stir among all my group members as we were to undergo our GTO tasks today. We all got up early & were ready on time ensuring all the details are followed meticulously. We were then taken to a room where our Group Testing Officer(GTO) briefed us about the schedule of all the tasks. The testing started with Group Discussion (GDs) followed by GPE. Each and every member of the group was there to speak and not to listen. In such a scenario it is of utmost importance that you calmly prepare a strategy & don’t let the group members deviate from the common goal. Then we were taken to the Group Testing Area for Outdoor Tasks. First was Progressive Group Task (PGT) followed by all the remaining tasks Half Group Task(HGT), Command Task(CT), Lecturette, Full Group Task (FGT), etc. I ensured that I actively participated in each and every move of the group and made sure that no one is left behind. I gave valuable inputs throughout the testing which were appreciated by all. And thus we managed to cross all the obstacles and performed really well as a group. I was called as a subordinate 4 times by my group members during the Command Task. At the time of my Command Task the GTO kept increasing the intensity of the obstacles and asked me to come up with alternate solutions. But I managed to complete the task in time. By 1500 hours our group was done with the testing and we all were free for the day. In the evening we were asked to assemble in front of the Auditorium. We were then showed the NDA documentary “My Life, My Flag” which was indeed one of the best documentaries I’ve ever seen on NDA. No testing was to be done for our group on this day. In the evening a trip to Indian Military Academy (IMA) was scheduled for all the candidates. We were highly delighted to see the picturesque beauty of IMA. We saw the IMA war memorial, Capt Vikram Batra Mess, Salaria Aquatic Centre, etc. The sight of the well dressed GCs made us long to be there someday. Then comes the D-DAY. We all dressed up wearing our best set of formals. After having Breakfast we were all made to sit in the Alaknanda Hall. When it was my chance to enter the conference hall, I was made to wait for a good 8-10 mins and then I was asked to enter the hall. I took a deep breath and entered the room and to my astonishment I saw around 25-30 Air Force Personnel dressed up in their uniforms, sitting in a semi-circular arrangement. The panel comprised of IOs, GTOs, Psychologists, Deputy President, and the President. The Deputy President then asked me to take my seat. I greeted them and the conference began. The Conference went on for 4-5 mins. They asked my opinions on various adages. They then asked me about my stay and also asked for suggestions. They then wished me luck and my Conference was over. After Lunch, results were announced and out of 109 candidates, only 8 got recommended. I never realized, it would take another 5-6 hours to fill out/. the forms after getting recommended. At 2000 hours we were finally free. All the recommended candidates were to undergo CPSS (Computerised Pilot Selection System) today. We all were asked to assemble in front of APJ Abdul Kalam Azad CPSS Hall. The test had 2 parts. The 1st part was an MCQ test. Out of 9 (1 candidate from another center) of us, only 4 managed to clear 1st stage, I being one of them. After the 1st test, we were made to sit in a CPSS machine which is like a cockpit with a joystick, pedal and a lever ( like in an aircraft) with a screen in front of us. We were then made to play a number of games and the combined score is then calculated. After the tests, the 4 of us were eagerly waiting for the results since one can give CPSS only once in the lifetime. The CPSS Testing Officer then announced the results saying only 1 out of 4 has cleared the CPSS examination. He walked towards me, shook hands with me and said “Enjoy Flying”. Since I was the only one selected for Air Force I was asked to report at AFCME, Delhi the next day while my friends were asked to reach Bhopal on a later date for their medicals. Your personality as depicted by the Psychologist, the GTO and what you tell about yourself to the IO should be consistent. Thus, any mismatch may mean rejection. So, be what you are. If you have any weakness or negative point, don’t hesitate to mention it. 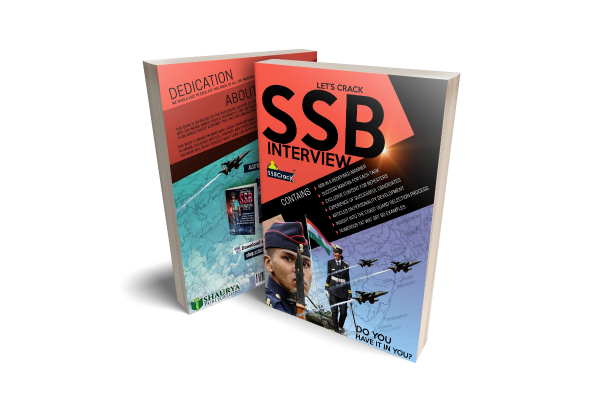 And don’t ever try to fake during the SSB, the selection process is so exhaustive that they’ll surely dig the real YOU out.